No BO, NO BS. A 100% natural deodorant to combat odor and provide cooling comfort. Non-toxic formula is free of aluminum and baking soda. Clean, refreshing scent. Vegan + cruelty-free. 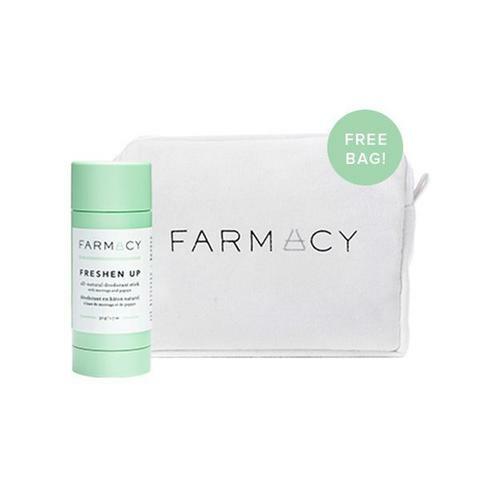 Comes in a beauty bag so you can stay fresh on the go. Provides a triple detox. Kaolin clay draws out impurities and moringa purifies + deep cleans, thanks to its antibacterial properties. Tea tree oil helps neutralize odors. Brightens underarms. Papaya exfoliates + helps this all-natural deodorant reduce the appearance of skin discoloration. Cool + clear. Our unique formula provides instant cooling comfort and glides on completely clear for invisible odor protection. Peppermint, bergamot + rosemary keep you smelling fresh! Aluminum-free deodorant. Aluminum can clog pores—and cause those pesky yellow stains to appear on your favorite white T-shirt! 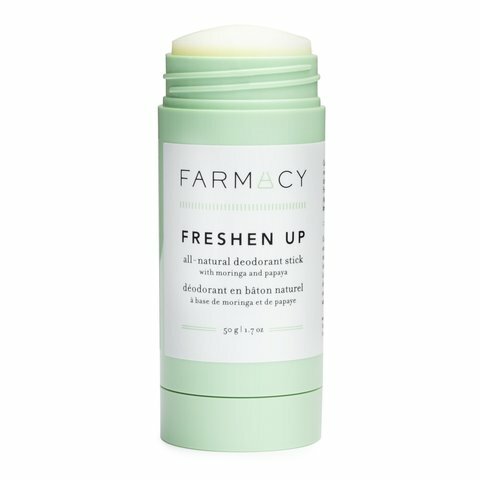 We’ve also ditched baking soda + synthetic fragrance in favor of farm-fresh ingredients. Apply to underarms. Do not use on broken skin. Note: If you’re switching from a traditional antiperspirant, your body may go through a brief transition period. - Moringa: Helps purify and detox skin by removing impurities caused by pollution. - Papaya (Papaya Enzyme): Gently exfoliates, brightens and helps reduce the appearance of discoloration. - Kaolin Clay: Helps draw out surface impurities and absorb wetness. - Tea Tree Oil: Helps neutralize odors.